In a recent column on the mating dance between Big Government and Big Tech, I noted that "Big Tech wants to be regulated by Big Governments because regulation makes it more difficult and expensive for new competitors to enter the market." Two days after I hit "publish" on that column, Facebook CEO Mark Zuckerberg called for government regulation of social media in a Washington Post op-ed. Zuckerberg's first proposed regulatory area is "harmful content." "Regulation," he writes, "could set baselines for what's prohibited and require companies to build systems for keeping harmful content to a bare minimum." Who's best equipped to build such systems? Facebook, with assets of nearly $100 billion and annual revenues of $56 billion? Or a new site started by some middle class guy (or even an affluent Harvard student like Mark Zuckerberg 15 years ago) with a great idea and some spare time? The second regulatory area is "protecting elections." Zuckerberg: "Our systems would be more effective if regulation created common standards for verifying political actors. ... We believe legislation should be updated to reflect the reality of the threats and set standards for the whole industry." Facebook, of course, has already invested billions in developing technology to identify users and advertisers and connect the two types of parties -- all in-house. Most startups don't have the money to develop their own such systems. They hook into a third party advertising service or a standardized ad sales plug-in. The effect -- and the intent -- of those "updates" would be to protect Facebook from those startups (and the American political establishment from its own would-be competitors). "Third, effective privacy and data protection needs a globally harmonized framework. 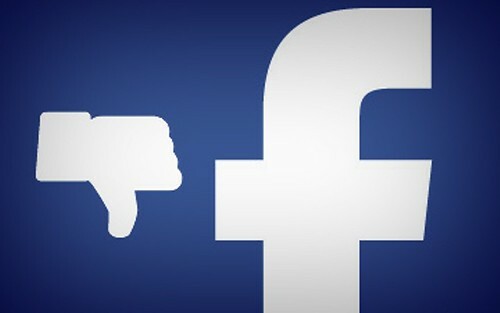 ... it should establish a way to hold companies such as Facebook accountable by imposing sanctions when we make mistakes." Facebook can easily accommodate "sanctions" that would kill most potential competitors. It already has big bucks in the bank (unlike a new company that may be years away from turning a profit), and that "globally harmonized framework" will almost certainly be built around its own standards and practices. Finally, "data portability. If you share data with one service, you should be able to move it to another." What will the "standard data transfer format" Zuckerberg calls for look like? Existing formats for handling user data. Who handles the most user data now? You know who. 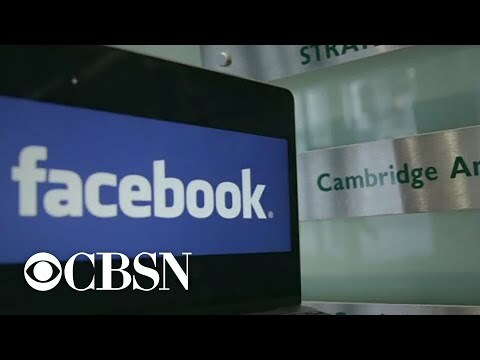 New competitors will be forced to build systems like Facebook's, and forbidden to try their own, possibly better, user data handling schemes. The Internet's potential is encapsulated in the expropriated Maoism "let a hundred flowers blossom." Zuckerberg agrees, but only if each of those hundred flowers is cloned from a geranium grown in his proprietary nursery. Regulation, not competition, is where monopolies come from. Facebook isn't a monopoly yet, but Zuckerberg clearly wants to make it one. You could smell this coming, even before the "fake news" drama started. Governments started publicly badgering Facebook about "taking responsibility" for "bad information", etc. It was classic theater from the get-go. All designed to condition the masses to think there was some problem with free-flowing info, and that the government was looking out for them by "confronting" the big players. Naturally, Zuckerberg doesn't want to be the "lone victim" of regualtion, and possibly have to segregate his company into smaller pieces. So, he comes out as a "proposer", suggesting some restraints gets tightened on EVERYBODY. These bozos think they're about to build a wall around the Internet. Personally, I think the whole thing will turn out to be somewhat laughable, as the new players are going to be decentralized and encrypted anyway. Let 'em try regulating that scene. On the one hand you're right -- the tighter the state's hand squeezes on the Internet, the more of it will just squeeze out through the cracks between its fingers and beyond its control. The question is whether the general public will keep up with the free Internet -- which will involve not only decentralized/encrypted media but local mesh networks that act as supernodes to connect local areas to the world when the "real" Internet is hobbled or shut down -- or whether for most people the Internet will effectively become just another centrally controlled set-top cable box. The public will eventually find no choice. The same way everyone jumped on Facebook, because all their contacts left MySpace and they had to follow. People are already leaving Facebook and its "sisters" (InstaGram, etc.) in droves. They're also dumping Google Search and all of Google's many spy-laden services. There's also an increasing number of people using encryption (whether in the form of a VPN, or more advanced), and script blockers (Privacy Badger, AdBlock). It's not exactly a flood yet, but the wave is building quickly. Certain friends I used to argue with about this stuff are now completely onboard. People like Lee Camp and a number of others have begun redirecting their efforts to things like Minds and Steemit. The less free and/or useful any social platform becomes, the more likely those that depend on it will want better. Particularly journalists who don't want to be shadow-banned and censored, as well as those who don't want to see hours of work being deleted arbitrarily by sell-outs like Facebook. This is very interesting, and I thank you for putting it all together. I do think that Facebook is actually beneficial for the American political processes, and I speak from lengthy personal experience working on Bernie's campaign as I have for 3 years! I truly am amazed at what MZ says here, as simple and as "boilerplate" as it sounds. It gives him a strong leg up to be the one doing the specific legislative proposals and suggestions, and especially to have it in the Washington Post. Clever, eh?